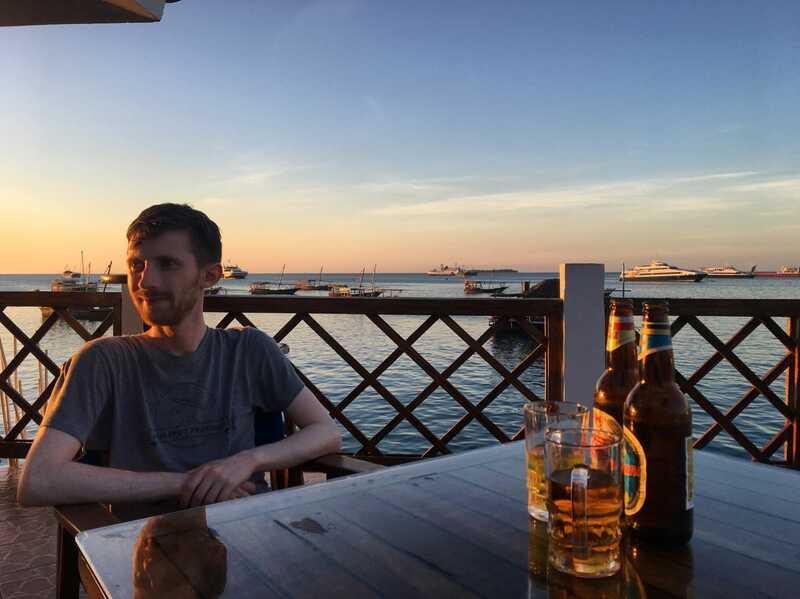 I’ve been putting off writing this blog post for a long time, because I’m finding it quite hard to summarise my trip to Zanzibar in November 2017. We did so much, over such a short period of time. We stayed in four areas ranging from top-end hotels to low-end hostels (and you’d be surprised which we preferred). 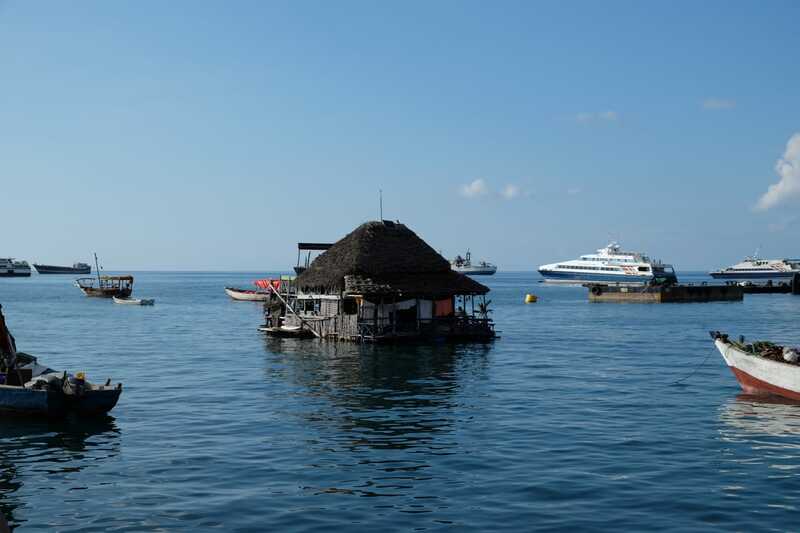 We ate in all sorts of interesting places, never once got food poisoning (although we both had a scare), and snorkelled more than anybody really should on a non-snorkelling holiday. Although I didn’t do so well on most of those attempts. Oh, also, prepare to be absolutely hounded by touts every single moment of every single day. Be polite, but firm, and you’ll have no trouble. 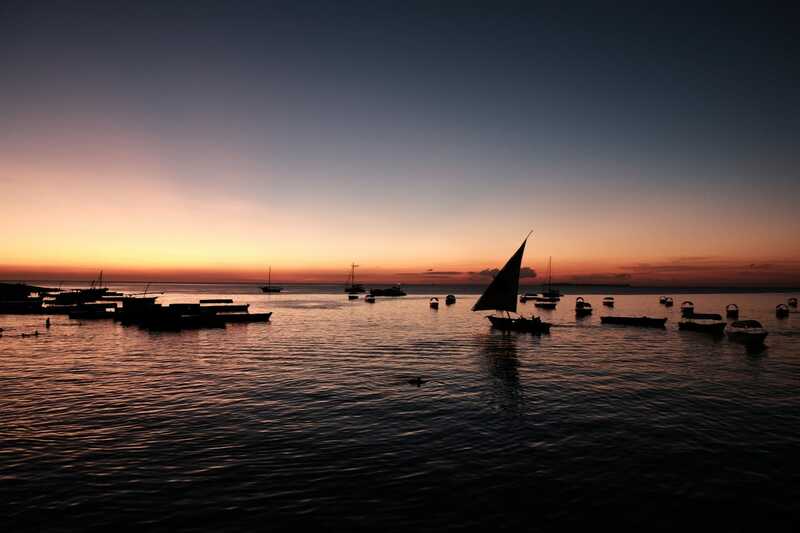 If you’re travelling to Zanzibar for a holiday or to explore, you are more than likely going to be spending some quality time in Stone Town, Zanzibar’s “old city”. 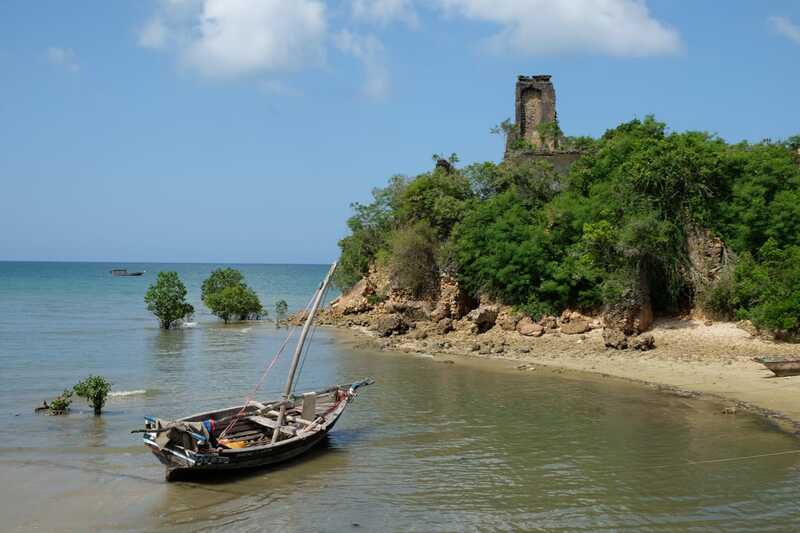 It’s called Stone Town because so much of the city is built from coral that has been dug up from the island’s coast. Coral is pretty easy to damage, and like most of eastern Africa, Tanzania is poor. As a result, most of the city is in ramshackle disarray, although you can still see plenty of indication of the city’s architecture, globally influenced due to its position on trade routes. One of the most important aspects of Stone Town is its role in the slave trade. Stone Town was one of Africa’s main slave-trading ports, with up to 50,000 slaves passing through each year, treated with such shocking cruelty that there was never once a slave uprising on the island - and roughly 30% of all slaves who were brought there, died. Slavery remained legal in Zanzibar until 1897, under pressure from the British. One of the things I strongly recommend you do while in Zanzibar is to visit the Slave Market, and find a guide to bring you through. For our stay in Stone Town, we went to the Princess Salme Inn. We flat out loved this place. It’s a simple B&B style lodge, with basic rooms, so don’t expect hotel-standard accommodation. But given the choice between Princess Salme and one of the high-end hotels in the area, I’d go for this any day. Our room was small, included air conditioning (very important in the baking Tanzanian sun), and since we were the only people staying in the hotel, they bumped us up to one of their larger rooms with a private toilet and shower. And we paid about $28 per person per night. Not only was the accommodation stellar for the price, but every morning we were served fresh breakfast on their roof terrace - eggs cooked right in front of you, a choice of fruit juices, coffee, and teas, along with bread and cereal. In most hotels or hostels, breakfast of this quality would require a serious price-hike. This same rooftop terrace has an honesty-bar, where you can take a beer and mark down your room number on a clipboard. It had the same beer as available throughout the city (Castle and Kilimanjaro were our favourites) at about half the price of the more popular bars that we tried. Finally, the best part about our stay at the Princess Salme Inn was how friendly all of the staff were. They helped us book tours, drivers, snorkelling trips, and even sent a car to save us from an up-market hotel on the other side of the island when we decided that we couldn’t bare being surrounded by rich Russians any longer. We double checked the pricing that they were offering us, and it was roughly in-line with what the random touts along the seafront were offering. I’m pretty sure that when we mentioned that we’d be interested in washing our clothes, one of the workers was going to take them to her own house to wash them. Other than the Slave Market that I mentioned earlier, there are some other experiences that I’d consider can’t-miss in Stone Town. Many of these can be arranged by the touts on the sea-front, but I’d generally recommend doing some research on TripAdvisor and booking directly where possible. Let’s start with the stand-out best thing we did on the trip - Safari Blue. It’s probably going to be the single most expensive thing you do on your trip, but it is worthwhile. Start with a cruise on a dhow, the traditional boat of the island. We sailed on a few dhows during our time in Zanzibar, and this was by far the best maintained. The guide who accompanied us spoke fantastic English and was among the friendliest person we met, in a country of friendly people. Early in the day, we did some snorkelling, with a guide who pointed out each of the fish and taught us about them. 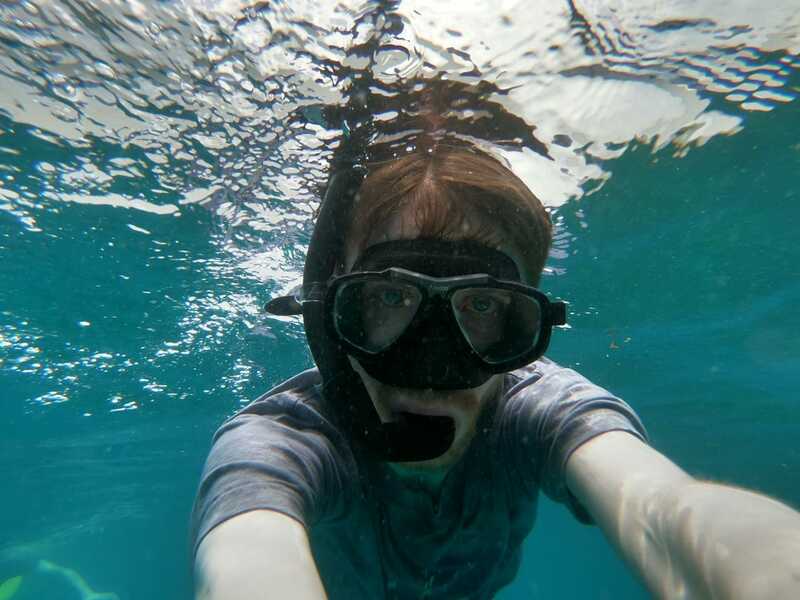 Of the four different snorkelling trips we took, Safari Blue was the only one with equipment which didn’t send me into an asthmatic panic attack due to poor airflow. And when I told our guide that a panic attack was likely, he made sure to stick nearby me until it was clear that I was fine. We snorkelled through a conservation area watching coral and fish until we met the boat and then sailed to a beautiful beach, where the guides prepared a wonderful fresh seafood BBQ along with a load of fruit. Beer also flowed freely from here-on-out. After the BBQ, we sailed to a mangrove lagoon and had another dip. I’d strongly recommend just swallowing the price of admission, and booking on their site before you leave for your trip. It was incredible. 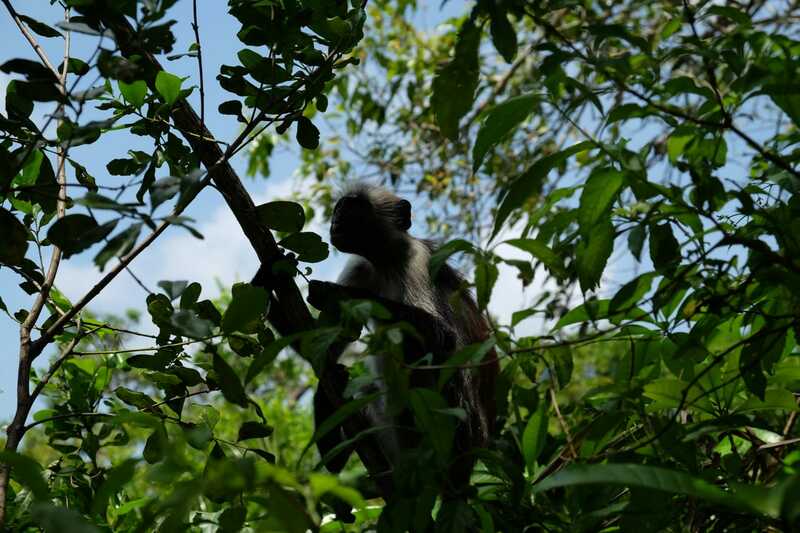 Speaking of mangroves, half-way through our trip, we visited Jozani Chwaka Bay National Park, a mangrove forest which is also home to some seriously endangered Red Colobus Monkeys. Ensure that your guide is certified (the government employees at the reception hut will introduce you to one) and head off on a several hour walk through the steaming forest. Make sure to bring enough water, as it can get very hot among the mangroves. And watch out for those monkeys - they’re really friendly and inquisitive! Pretty much everybody who goes to Stone Town goes on a Spice Tour - a tour of one of the island’s spice farms where a guide will teach you about how the dried spices which end up in disarray in your kitchen cupboard came to be. You’ll eat a whole lot of things dug out of the ground, or picked from a tree, and not all of them will be nice. Unless you get one of the more premium tours, you’ll also likely be brought to a shop or two on the way home, in the hopes that you’ll buy some tourist tat. 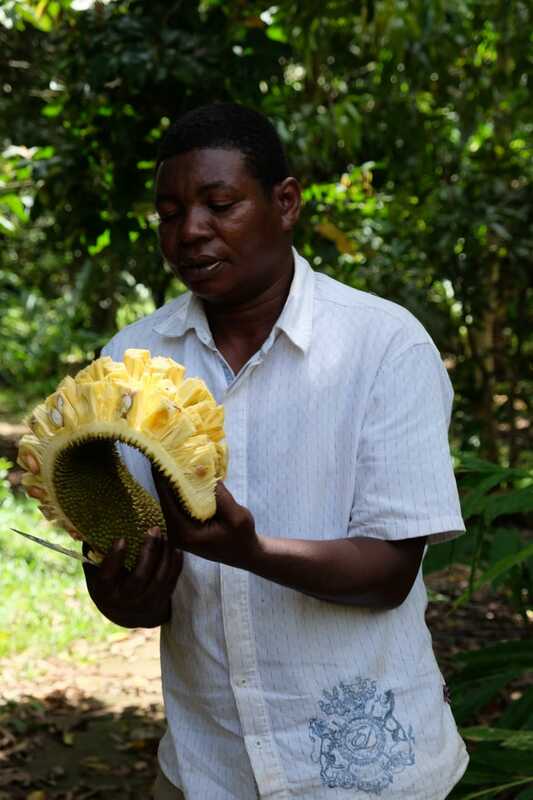 But getting to eat a fresh jackfruit which had been hanging 10 meters above the ground minutes earlier made it all worth it. Another fun trip is the one to Prison Island. We somehow arranged a private trip in a rickety old boat with a captain who was basically willing to let us stay as long as we’d like, as he sunned himself. Despite the name, Prison Island (real name - Changuu Island) was never used as a prison. Instead, it was an isolated hospital for those with yellow fever. Bizarrely, it also is home to some endangered Giant Tortoises which were a gift from the British governor of Seychelles. While there is a foundation dedicated to the care of the tortoises, and their numbers are recovering, like much in Tanzania I was unable to figure out if this was a valid effort or just a touristic money making scheme. If you pay a fee of around $4, you can walk among the tortoises and feed them leaves, which they seemed to appreciate. Before I get to my food recommendations, there’s something important you need to know about Tanzania, and maybe most of Eastern Africa. Pole Pole means slowly slowly, and it pretty much sums up everything about the country, for better or worse. Due to the fear of illness, almost all meals are created completely from scratch, so things can take a while. Our first meal in Stone Town was in the Stone Town Café a fairly westernised place that opens early and closes late. We both got Avocado Toast (turns out Stone Town is a haven for the Avo Toasts, but not quite in the same style we were used to) and it was, like most meals we had in Stone Town, very OKAY. The Night Market which kicks off on the waterfront around sundown is a must-see. As you wander through the stalls you should keep your wits about you - pickpockets and scammers operate with impunity. But if you keep an eye on the stalls and see how they’re cooking their food, you will be able to grab some tasty treats. All recommendations I got were to stay away from meat (the darkness makes it hard to see how fresh it is) but the vegetarian options that we ate were pretty decent. Standard African rules apply here - only accept unopened bottles of sparkling water (You Can’t Fake the Fizz) and haggle like crazy. If you ask a local where to go for dinner (which we did), they’ll recommend Lukmann, a bustling buffet of freshly cooked food and incredible smoothies that you can’t miss out on. When we visited it was packed with locals, and a member of staff quickly figured out that we had no idea what was going on, and offered to walk us through the menu and serve us at a table. No matter what you order here, it should be great. And don’t miss out on their smoothies - possibly the best smoothie I’ve ever had in my life. There are plenty of bars dotted around Stone Town, and it can be a real struggle to find a good one, but you’ll probably get some good stories no matter where you go. For example - we went to a bar called Tatu, where we met a 9/11 truther who one day dropped his job because his girlfriend left him and decided to travel the world. He then got into a fight with a drug dealer who I think just wanted to ask us about what living in Ireland was like. We knew that after our five-day camping Safari in the Serengeti (I’ll eventually write that post) we’d probably be pretty tired. So we booked the last few nights of our holiday in the Mangrove Lodge Eco Hotel, where we got a bungalow. The owner was more than happy to meet us at Stupid O’Clock in the morning and offered to prepare us some food. We were uninterested due to it being 4am, and upon getting over our disappointment at the lack of air conditioning (note the word Eco in Mangrove Lodge Eco Hotel) we fell straight asleep. The next day I went exploring this mostly residential corner of the island and was blown away by its beauty. There were private beaches for us to swim off (and only minor hassle from touts who later got chased off by locals who were sanding down their dhow), and plenty of space to lounge and recover. I’m fairly sure I read a whole book in a day, looking out over the bay. Another high-end place that we stayed in was the Warare Beach Hotel. We were slightly misinformed as to the fanciness of this hotel when we booked it. It’s fancy. Real good food, very nice rooms, probably the best showers of the trip, a great swimming pool, and a private beach. We arrived just a few days into our two and a half week trip, and we quickly decided that it wasn’t for us. After a little negotiation, they agreed to let us check out early without any penalty, and we went to stay in a lovely little mix of bed-and-breakfast and local bar instead, closer to the town centre. To be clear - Warare Beach would have been a great place for us to spend the last few days of our trip, but we wanted adventure while we could still stomach it. 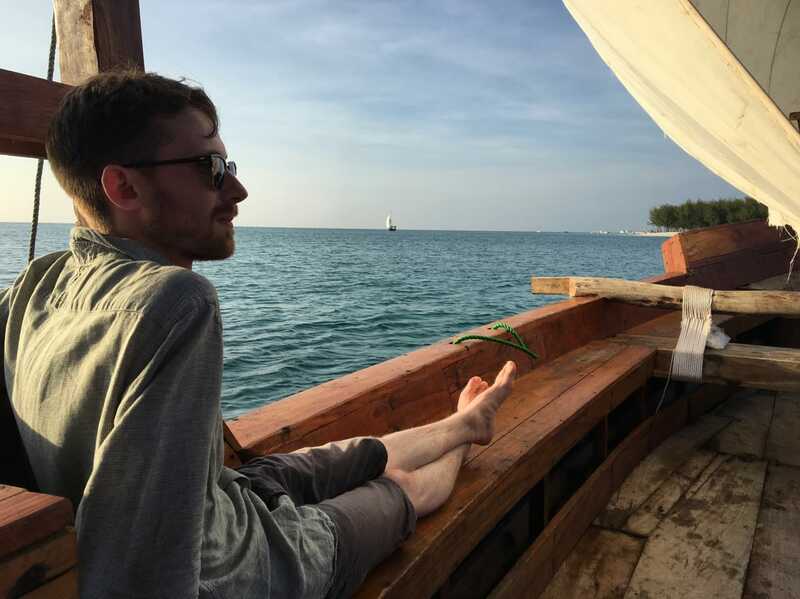 Over the two weeks that we spent in Zanzibar, two things stood out to me: the sheer number of touts, and how kind, friendly, and generous everybody else was with their time. Our Spice Tour guide welcomed us into his small house in the poorer area of the island, where his wife had prepared a delicious salad for lunch. The staff of the Princess Salme Inn were effectively our PAs throughout the trip. And when two of our taxi’s wheels blew out on the coral road on the way to our aeroplane home, the taxi driver insisted on finding us a new taxi at 3am and joining us on the trip to the airport to ensure we wouldn’t get ripped off by the new driver. I hope you enjoyed my thoughts on my stay in Zanzibar. I’d love to hear your thoughts on the island, and if I missed any must-do things. Leave a comment, and let’s chat! Before I went to Zanzibar, I spent a few days in Istanbul. You can read my blog post about that here. During our time in Zanzibar, we struggled with getting our phones working, but eventually managed it. Read the 11 time consuming steps to getting a data plan in Zanzibar here. I also spent five days camping in the Serengeti, and I’ll write a blog post about that… at some point. Subscribe below to get an email when I publish that.